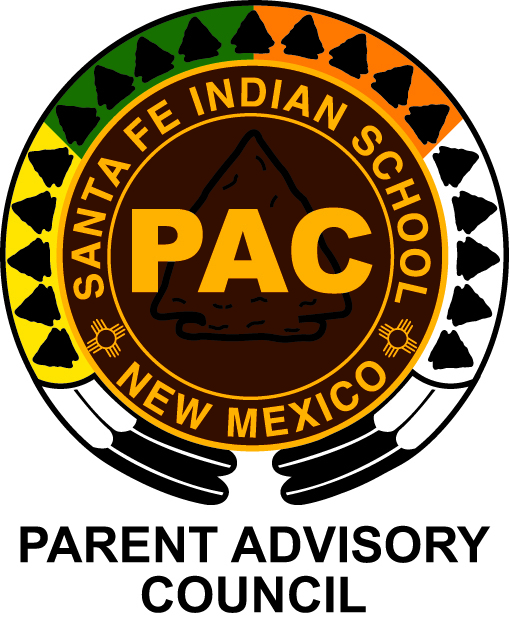 Parents are also encouraged to join the Parent Advisory Council (PAC), SFIS’s parent organization. This group sponsors various activities on campus, and is a valuable resource and support network for both day and residential parents. To support the Santa Fe Indian School strategic initiatives and parent activities associated with the Comprehensive Learning Framework and the continuous school improvement process. To advise and inform the school on matters of concern regarding the administration and operation of SFIS and to provide recommendations from the aspect of parents. To inform parent of SFIS policy changes and to make recommendations by obtaining data through parent feedback. The Parent Advisory Council is comprised of current SFIS parents and they serve on a voluntary basis. The PAC encourages all parents of enrolled students to participate in monthly PAC meetings and sponsored events. PAC monthly meetings are open to all parents that would like to attend. Click HERE for the 2018-2019 PAC Meeting Schedule.